My third book of my Well-Educated Mind Biographies Project is Essays by Michel de Montaigne. He wrote these essays over the period of 1570 - 1592. Why? Well, the man himself tells us: "I have dedicated this book to the private benefit of my friends and kinsmen, so that, having lost me (as they must do soon) they can find here again some traits of my character and of my humours." His writing is honest and unpretentious, as he only sought to dissect his mind for a greater understanding of human nature. 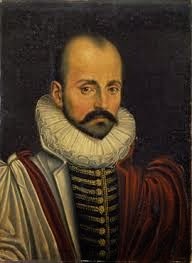 Born on the last day of February 1533 at the Chateau de Montaigne, his families' wealth did not breed arrogance or vanity; for the first three years of his life Montaigne was sent to live with a peasant family, in order to, as his father said, "draw the boy close to the people, and to the life conditions of the people, who need our help." While his father ensured that he associated with people of lower social status, he also provided him a rigorous education for the purpose of cultivating his mind. 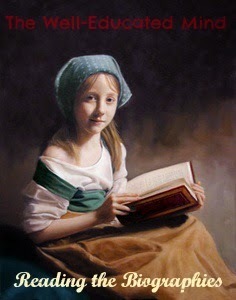 He studied all the classic languages and at fourteen, was destined for law school. In 1554 he was appointed councillor in the Parliament of Bourdeaux and later married. Yet in his thirty-eighth year, tired of court life he retired, intending to spend the remainder of his life in tranquil seclusion. 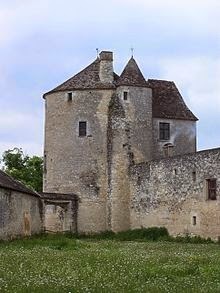 Sequestering himself in a tower on the grounds of Chateau de Montaigne, he began to write his Essays. Upon his retirement he commissioned a medal that read, "Que scay-je? ", which means "What do I know? ", echoing Pliny's reminder that "In these matters, the only certainty is that nothing is certain." The profundity of his thoughts introduces his readers to ideas, presented in a way that is unique and innovative. "He who had never actually seen a river, the first time he did, so took it for the ocean, since we think that the biggest things that we know represent the limits of what Nature can reproduce in that species." His humility, charm, and uncomplicated spirit echoes through much of his writing: "When I play with my cat, how do I know that she is not passing time with me rather than I with her?" 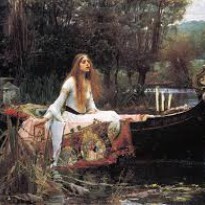 “To begin depriving death of its greatest advantage over us, let us adopt a way clean contrary to that common one; let us deprive death of its strangeness, let us frequent it, let us get used to it; let us have nothing more often in mind than death... We do not know where death awaits us: so let us wait for it everywhere." "The besetting sin of both Montaigne's translators seems to have been a propensity for reducing his language and phraseology to the language and phraseology of the age and country to which they belonged, and, moreover, inserting paragraphs and words, not her and there only, but constantly and habitually, from an evident desire and view to elucidate or strengthen their author's meaning. The result has generally been unfortunate; and I have, in case of all these interpolations on Cotton's part, felt bound, where I did not cancel them, to throw them down into the notes, not thinking it right that Montaigne should be allowed any longer to stand sponsor for what he never wrote; and reluctant, on the other hand, to suppress the intruding matter entirely, where it appeared to possess a value of its own." In any case, forward on to The Essays of Montaigne!